Yes. When you add your card details, they are immediately encrypted and sent to our payment provider, who then sends back a randomised token consisting of a long string of random letters and numbers (this is called tokenisation). This means none of your card details are ever stored on our servers. If anyone were able to access our servers, they'd find nothing of use. We process every payment using Stripe and Judopay, two of the most secure global payments providers. They support thousands of companies including Twitter, Virgin and The Guardian - so you’re in good hands. How does a transaction go through? Transactions are made using an in-app QR code. This QR code is a token generated by Stripe or Judopay, meaning when a purchase is made with the app, it is the token that is scanned, not your credit card. To add additional security, this QR code changes every 30 seconds, regardless of whether you’re online or offline. Yoyo Wallet are Europe’s fastest growing mobile wallet. 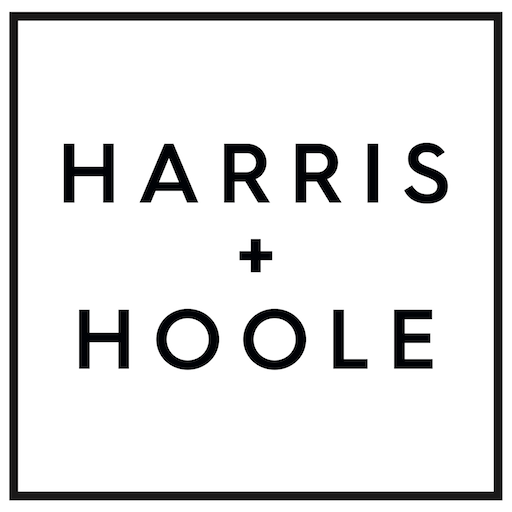 Their technology powers the Harris + Hoole app to make transactions even more secure. Is my Harris + Hoole account secure? The app is protected by a four digit passcode of your choosing (or fingerprint scanner where available), meaning only you can access the app. The only ‘personal’ information we hold is your email address and date of birth.